You have made your decision. You love working with people, and you have a keen sense for business. You’re willing to work hard, and you have the tenacity to do so. The idea of kicking off your career with a median starting salary of $82,878.00 is also pretty appealing. All of this makes human resources management the ideal career path for you, particularly when you consider the job security it offers and the prestige that comes with it. But where do you start? Naturally, it begins my earning the appropriate degree, but if this is the career path you have chosen for yourself, expect to spend more and invest in more than just another four years in the classroom. In the field of resource management, college is where your career begins and where you receive your first opportunity to make yourself stand out from amongst your competition. The earlier you get started, the better off you will be! How Do I Get an HR Management Degree? To jumpstart a career in human resources management, the first step will be to acquire a bachelor’s degree in human resources, resources management, or a closely related field. With an associate’s degree, you will be qualified to work as a human resources generalist, a staffing specialist, or a recruiter; however, if you want to move into the upper echelons of management, you will need to have a four-year degree from an accredited university. In order to enroll in a resources management program, you must hold a high school diploma or GED. Some colleges require their students to maintain a specific GPA – like a 3.0 or higher. Ideally, you should have earned excellent grades in finance or business, psychology, and sociology. Management experience, whether supervising a local sports team or at an after school job, can also assist you into getting into a top tier program. Even after earning your bachelor’s degree, be prepared to devote even more time to obtaining a graduate degree. Most successful human resources managers hold a minimum of a master’s degree – with many going as far as to earn a Ph.D.
Technically, you do not have to have any professional certifications to work as a human resources manager; however, an increasing number of employers are requiring their HR managers to earn their Professional in Human Resources certification (PHR) or Senior Professional in Human Resources certification (SPHR) through the Society for Human Resources Management. A number of other professional associations offer certifications in the fields of benefits management and compensation management. So Why Should I Go Through All of the Trouble? In addition to the high salary, there are many other benefits that accompany becoming a human resources manager. For example, as an HR manager, you will always be in the know. When raises or pay cuts are taking place, layoffs are looming, bonus checks have arrived, or other similar confidential or important events are taking place, you’ll be one of the first individuals to find out. Gaining access to this type of knowledge and how it will affect others imbues you with an aura of power, whether it is something you are looking for or not. Similarly, if you are looking for an active and exciting career, HR management will give you exactly what you’re looking for. It’s a common misconception that human resources management involves sitting at a desk all day and pushing around paperwork. While you’ll certainly participate in these duties, you will also have an active role in the interviewing, hiring/firing, and training new employees. You will be asked to plan and host corporate and employee events, in addition to many other activities that will keep you busy. Perhaps most importantly, there is the job security that a career in HR affords you. As the go-to person in your company, it will be difficult for anyone to oust you from your job. You will know the ins and outs of how the system works, all of the quirks of company procedures and policies, and the state and federal laws that protect your job. This reason alone makes HR a wise career choice. Most students will choose to attend a four-year university or college; however, for a variety of reasons, others will choose to attend a two-year college to earn an associate’s degree in human resources management. An associate’s degree will take between 3 and 5 semesters to complete, and these programs are offered by most technical institutes and community colleges. The primary advantage to attending a two-year institution is that you will not have to relocate to take classes towards your desired degree. At the same time, you should bear in mind that an associate’s degree itself will not be sufficient for you to obtain a job as a human resources manager; however, with an associate’s degree in human resources or resource management, you will be qualified to work as a human resources generalist, a recruiter, or a staffing specialist. The experience that you gain in these positions while working in on your bachelor’s degree will be invaluable to your future career as an HR manager and something that employers will look upon favorably. While attending a two-year college instead of a four-year university might be considered “taking the long route”, it does have its own set of advantages. To gain admission into an associate’s degree program in HR, you must have a high school diploma or your GED. Most schools require you to have a minimum GPA of 2.5 or higher. The entry requirements for these programs tend to be more lenient than those for a bachelor’s degree, so if you didn’t do that well in high school, consider this an alternate route to take and improve your standing. For an HR associate’s degree, the curriculum will generally consist of general education classes, as well as specialized classes in business, psychology, economics, and information technology. Students who graduate with an associate’s degree, on average, earn $7,500.00 more each year than high school graduates alone, and their unemployment rate is 30% lower. Currently, more than 214 two-year colleges across the country offer associate’s degrees in human resources, so it will not be difficult to find one near you. However, it is very important to ensure that you choose an accredited, not for profit college. While online degree programs are available, most educational experts (and employers) strongly recommend that you take classes on campus when available. Unlike other professions, there is no single national accrediting agency for human resources programs, so most two year institutions are accredited at the regional or national level. The U.S. Department of Education offers an up to date database of accredited, two year colleges. Earning a bachelor’s degree in human resources or resource management forms the foundation of any successful career in HR, particularly if you are focused and begin to network and earn experience as early as possible. Students will be required to earn between 120-150 credit hours (depending on the specific program they enter), which are earned over the course of 4-5 years. The classes you take will cover mathematics, statistics, communications, English, social science, and psychology, with a heavy emphasis on business classes. In the United States, the average cost of tuition for a bachelor’s degree in human resources in $17,980.00 per year. While the cost is certainly daunting, there will be a wide variety of financial aid available to you to help you shoulder the cost of school, in addition to a plethora of scholarships that are specifically aimed towards students majoring in human resources. With more than 1,200 human resources bachelor’s degree programs in the U.S., a prestigious university with an accredited human resources program can have a significant impact on your resume. When choosing a school to attend, don’t bypass harder programs. These are often the ones that will equip you well, and the quality of the program you attend will have an effect on the types of opportunities that are available to you – ranging from networking opportunities to whom actually employs you. The course load you are required to take for your bachelor’s degree can seem overwhelming. While your major will most likely be in human resources or resource management, your minor can enhance how attractive you are to an employer (e.g. a minor in information technology or business administration). Some ambitious students even choose to double major in HR and another related field. 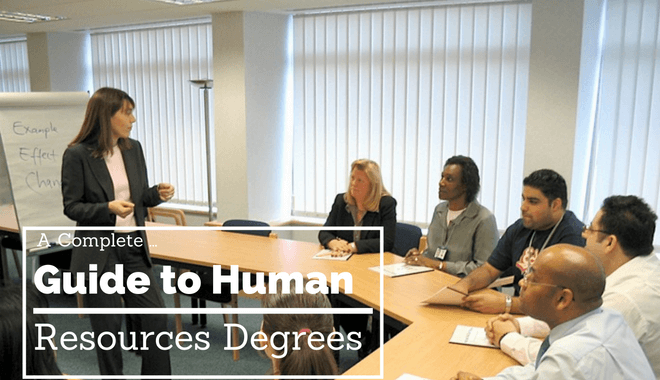 There are a number of ways you can achieve your degree in human resources. Your available options include online, on campus, hybrid, part time, and full time. It is worth considering that most employers generally respect on campus programs, since they are the programs that offer students the most in terms of networking events and hands on experience. There are a number of excellent undergraduate human resources programs that will make your job application set apart from among the competition simply through its prestige. For example, Quinnipiac University in Hamden, Connecticut has one of the most highly regarded HR programs in the country. The school has one of the nation’s highest graduation rates of 72%, in addition to an astounding job placement rate of 97%. Another example of a top tier undergraduate human resources program is the one offered by DePaul University of Chicago, Illinois. DePaul University is one of the nation’s ten oldest business schools, and the school has received many accolades for graduating business students of color. Named one of BusinessWeek’s best value HR undergraduate programs, students at DePaul are trained to meet ever evolving workforce needs through experiential learning with a unique global perspective. Generally, managers who hold a bachelor’s degree earn between $40,725.00 and $72,200.00 when first beginning their careers, but these figures can go much higher. Salary is primarily dependent upon chosen field, geographic location, and prior experience. If you want to advance into senior management, then it might be time to consider earning a graduate degree. In an increasingly competitive and dynamic workforce, HR managers who hold a master’s graduate degree are increasingly sought after. While this doesn’t necessarily mean that they’ll earn more money than other human resources managers, they do tend to receive more promotions and advance their careers much more quickly. In the HR profession, having a master’s degree will open more doors for you. While having a master’s degree is highly desirable, you must also bear in mind that it entails another 1-3 years of school, which is comprised of difficult, advanced studies. Furthermore, it also involves additional expense. The average cost of a human resources master’s degree in the United States is $395.00 per credit hours. Master’s degrees require (depending upon the specific program) between 30 to 60 hours of graduate level studies. As you can see, the cost quickly adds up. Occasionally, scholarships can be found to offset the costs of graduate education, but they are not as readily available as they are for undergraduate students. In order to apply for a decent graduate program in human resources, you must hold a bachelor’s degree in human resources, or a closely related field. Depending on the specific requirements of the program, you will also be required to take either the GRE or the GMAT. Prior experience and extracurricular activities will also be taken into account. Instead of pursuing a master’s degree in human resources, you also have the option of pursuing a Master’s in Business Administration with a concentration in human resources. Having this type of degree will enable you to have a broader understanding of management, business, and human resources at large. As with undergraduate degrees, a graduate degree in human resources can be finished on campus, online, or in a hybrid format. You can go to school full time or part time. Master’s degrees that are earned on campus, again, tend to be looked upon more favorably by employers. Regardless of which graduate program you choose to attend, you should look for one that offers an ideal blend of hands on experience and rigorous teaching. Earn a Ph.D. to Become a Dr. The highest human resources degree that you can complete is a Ph.D. in HR. On average, doctoral degrees take between four and seven years to complete. However, if human resources is a career you are passionate about, it certainly won’t feel like work. The decision to enroll in a doctorate program is one that should not be made lightly. It involves years of work, which ultimately result in a doctoral thesis. The average tuition cost to earn a Ph.D. in human resources is currently $18,504.00 per year. However, there are a wide variety of fellowships, grants, and scholarships available to graduate students to help offset this cost. If you wish to enroll in a Ph.D. program, you must hold a bachelor’s degree, and a master’s degree, plus relevant experience, may be required. Ph.Ds. may be earned on campus or online. Since the focus of your studies is on your independent project, with minimal classes required, the Ph.D. offers much more flexibility in terms of delivery format. Online degrees are an ideal option for non-traditional students who want to start a career in human resources. They are an excellent choice for people who are considering a career change, working professionals, and those who are unable to relocate to attend on campus classes at a university. The amount of time that it takes to earn your degree will vary from one program to the next, but online degrees do afford you the most flexibility and allow you to learn at your own pace. Perhaps the biggest drawback to earning your HR degree online is that employers tend to be biased in favor of degrees on campus. An online program may not afford you the same employment opportunities as most employers tend to recruit graduates only on campus. You must also consider that you will miss out on important networking opportunities. If long distance learning is the best option for you, remember that the program you choose should be accredited and should be offered by a not for profit school. The fees for online degree programs can often be as high as those for degrees on campus, but it is possible to find affordable programs for all degree levels – starting as low as $8,000.00 per year. Now is a wonderful time to work in human resources! The degrees discussed above will assist you in entering one of the most lucrative career fields. From 2014 to 2024, human resource management positions are expected to grow by 9%, which is faster than many other occupations. The median pay for a human resources manager in 2015 was $104,440.00 per year, and this number is expected to grow as the demand for competent managers grows. Depending on your location, credentials, experience, position, and specific field of work, the pay scale can vary widely and increase twofold as you continue to gain more experience. Moreover, human resources is a profession in which you can advance quickly, especially as you acquire more experience and professional credentials. Another advantage you must take into account when deciding whether or not to enter the human resources profession is the diverse range of potential career paths. 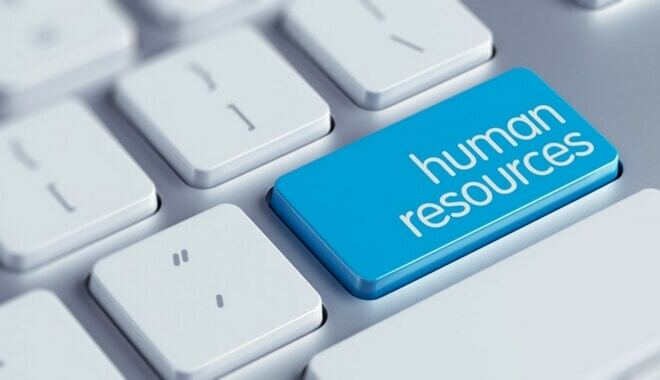 Human resources is one of those rare occupations that is demanded by almost every industry conceivable. For example, you can choose to work in the public or private sector. You can work for government entities, small firms, big corporations, or for non-profit organizations. You can also opt to earn your Ph.D. and enter the realm of academia. Many schools offer a diverse range of human resources concentrations to choose from. For example, the healthcare industry as a whole is in dire need of HR managers. The University of Pennsylvania at Wharton is one highly regarded school that offers an MBA in Health Care Management. Northwestern University offers an MBA with a concentration in Health Enterprise Management. Columbia University offers an MBA in Health and Pharmaceutical Management. If healthcare is not your cup of tea, then you might want to check out the Masters of Industrial and Labor Relations that Cornell University has to offer or the dual MBA in Human Resource Management/Organizational Behavior that Brigham Young University has to offer. The point is that you have many options to choose from, and it won’t be difficult to find a concentration in human resources that excites and challenges you. How to Find that Dream HR Management Job? First and foremost, from the first day that you set foot on campus to earn your undergraduate degree, start networking! Attend career fairs. Conduct job shadowing. Attend networking events. Talk to your professors. Join student organizations. Make a concentrated effort to speak to recruiters whenever it is possible. Secondly, in addition to maintaining an exemplary academic record, gain as much experience as you possibly can. Get involved in student competitions, volunteer programs, and student organizations. Find a part time job outside of campus. Finally, make a concentrated effort to perfect your interview skills and polish your resume so you can impress prospective employers. Most colleges offer a variety of workshops that can assist you with the required skills, and career fairs offer a prime opportunity to network and establish professional relationships. Make sure to let your enthusiasm for the human resources profession shine through. In today’s competitive job market, having an academic degree from a prestigious university will make you stand out, as will having a graduate degree and professional certifications. These will significantly enhance your marketability, and you will find that the additional effort will pay off. Last, but not least, always bear in mind that starting a human resources management program is the first step on the journey to your dream career. The college you attend is your first contact with the world of resource management, and everything you do at your school will have an impact on your future. Make the most of every opportunity you have. 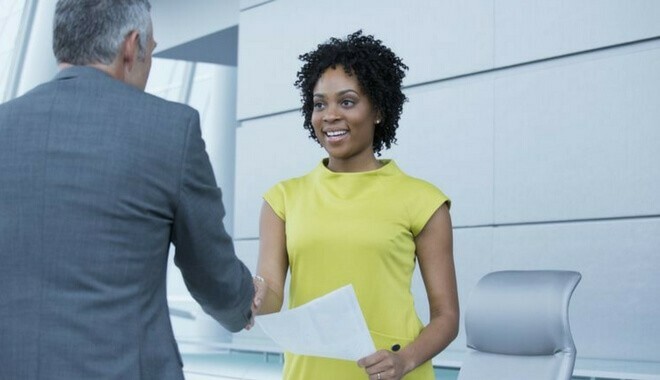 Your dream job as a human resources manager will be waiting for you at the end of the road.